Naomi Osaka is no longer a shy, introvert youngster and the newest Grand Slam winner in women’s tennis says she owes her maturity to last year’s US Open triumph. Last September the Florida-based Japanese player beat Serena Williams at Flushing Meadows, denying her childhood idol a record-equalling 24th Grand Slam singles title. 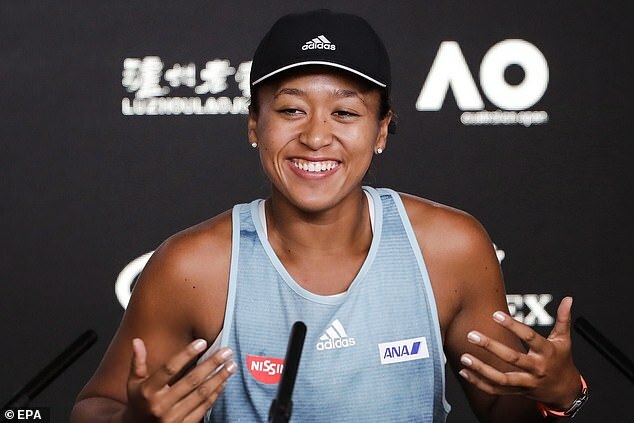 Known for her humility and introverted nature in the past, Osaka left the attending media in splits at her pre-Australian Open press conference on Saturday. ‘I think it would be bad if I changed in, like, three months,’ the 21-year-old said, brimming with smile. ‘I don’t really feel that much different. Standing on the podium at the US Open waiting to be handed her trophy and a winner’s cheque after defeating Williams in an ill-tempered final, Osaka heard only boos from an angry and frustrated crowd. That would have wilted most nerves of steel but it prompted Osaka to work more on the mental aspects of her game during the off-season. ‘One of my biggest goals is to be more mature, like to mature as a person,’ she said. ‘And I feel like in a way I am, but in other parts I’m very, like, three-year-old mentality, you know? She has also lost weight during the off-season but strictly to help her improve her game. ‘I want to be faster. It’s not for looks or anything. I feel like it helps me play better. Like, I get to the ball faster, and I’m not as sore,’ she said. 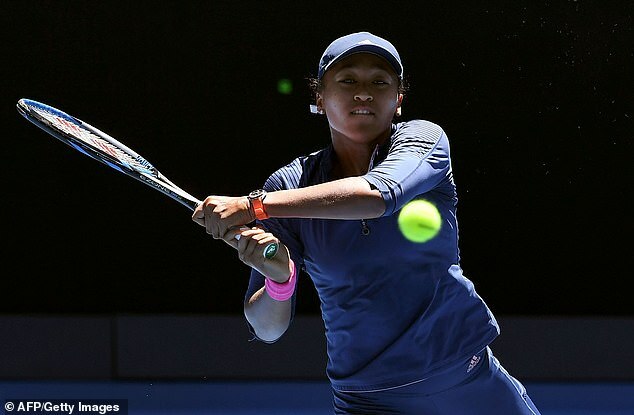 Melbourne Park remains a special place for Osaka as the Australian Open was the first Grand Slam where she got into the main draw through the qualifiers in 2016. 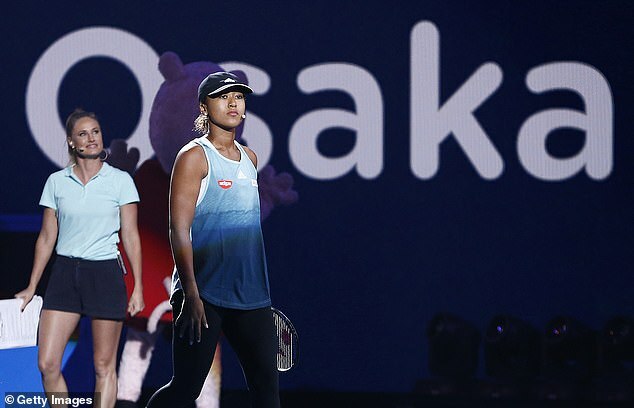 Things have changed significantly since then but Osaka is not getting too much ahead of herself. ‘I mean, I feel like, of course, I have to take it one step at a time. No one wants to lose in the first round of a slam, I think. That would be my immediate goal,’ she said. ‘From there, I’ve been in the third round 100 million times already. That would be my next goal. Hopefully semis after that. Then I can think about, like, the finals and winning. Osaka’s compatriot and former U.S. Open finalist, Kei Nishikori, has had a good run in the leadup to the Australian Open and overcame Daniil Medvedev in the Brisbane International final on Sunday for his first ATP title in nearly three years. 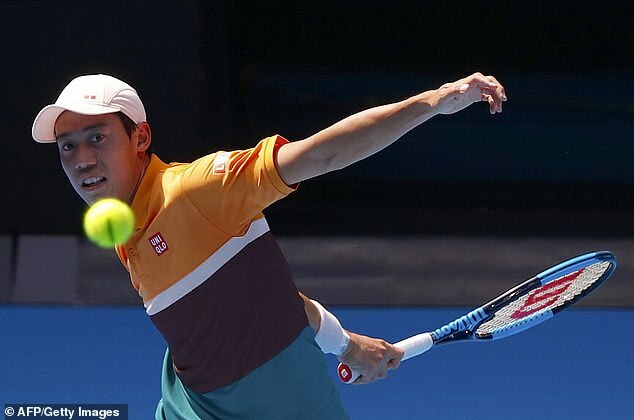 Three times a quarter-finalist at Melbourne Park, Nishikori missed last year’s Australian Open with a wrist injury and hopes he can progress further this year.